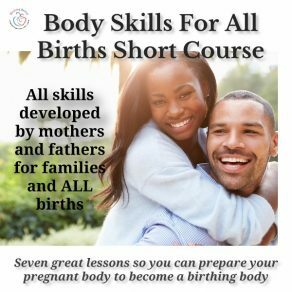 WHAT: All the important, vital and effective birth and birth-coaching skills developed by hundreds of fathers and mothers are now available to you. Well-organized in chunk able lessons that take you through a journey from 24 weeks pregnancy and your baby’s birth as an increasingly skilled mother and father-to-be. Common sense, easy to learn and retain as well as improve your personal birth experience. HOW: Finally all the Birthing Better skills are in well-organized online lessons compared to the original VHS, book, and cassette! We’ll take you through the baby steps for self-learning great birth preparation skills as well as both birth and birth-coaching skills. Using mixed media, you can pick and choose which resource you want to learn as suits your needs. Each resource focuses on one topic or skill only. WHY: As a pregnant woman you want to do everything you can to have a safe birth and feel in control. These are the reasons so many Birthing Better families took the time over many years to develop skills and improve them. You want simple yet effective skills that will work for you in every birth. You also want your significant other to know exactly when and how to help you cope well. Birthing Better families are really clear that the very best time to start preparing your body for birth is from 24 weeks onward and to refresh, practice and integrate the skills from 36 weeks onward. Our pregnant Mind is clear from 24 weeks to about 36-38 weeks. Baby brain increases which make learning new skills both more important and require a greater effort and focus. Birthing Better is a mixed media resource. Each resource focuses exclusively on one skill so you can pick and choose. LESSON 1: We give you a general overview from a Birthing Better viewpoint. You’ll find this new approach exciting, refreshing and inclusive to every pregnant family. Even before you start learning skills, we ask you an important question: ‘How do you want to look back on your coming birth?’ Every Birthing Better family says they are able to see how being skilled dramatically changed their lives and how not being skilled would have led to an entirely different experience. LESSON 2: No other childbirth method is inclusive of all births except Birthing Better. The focus since the 1950s has been on ‘natural birth’. In this lesson, you can investigate how you can use your Birthing Better skills no matter the type of birth you actually have. LESSON 3: Going through this lesson, you’ll be relieved to discover how to use your Birthing Better skills no matter where you’ll birth. Birth skills work in every birth when you focus on using skills to work through your baby’s birth journey. That’s your only job! Birth your baby! 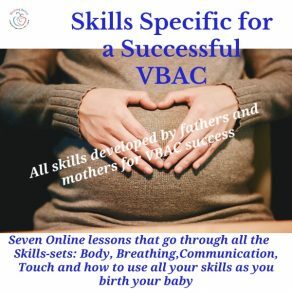 LESSON 4: This lesson is focused on how to achieve positive birthing behaviors via teamwork skills, knowing how to recognize birthing behaviors you want to avoid as well as creating a Birth Plan for what you want and a Birth Plan of the skills you’re learning and will use. LESSON 5: Birthing Better was previously known as The Pink Kit. This lesson integrates our previous color-coded book to the matching video segments. We’ll start with the over-structure of your pelvis … both the bony and soft tissue pelvis. LESSON 6: Our video segments will step you through each of the wonderful bony pelvis skills. Discover your amazing ability to feel how much space you can create inside your pelvis for your baby. Do all these skills on your birth-coaching partner and suddenly you’ll know you share a ‘common body language’. LESSON 7: You’ll be the first in your pregnancy group to know about the soft tissue of your pelvis. Finally, you’ll feel as though you have control over your birthing body and know you absolutely can help your baby come down, through and out your body. LESSON 8: Now that you know your birthing pelvis, you’ll be able to go through every recommended position seen on wall charts and determine for yourself which positions keep you open. Couple this skill with some skills you’ll learn a bit further in this course so you’ll know how to read your baby’s messages via each contraction and assume positions that keep your labor progressing. LESSON 9: You’ve learned to work with your bony and soft tissue of your birthing pelvis. Now you’ll learn another wonderful skill … preparing your baby’s birth passage. You can easily reduce or prevent both delays in 1st (dilation) and 2nd stage (delivery) of birth by doing The Internal Work for a mere 5 minutes/day for 8 weeks. LESSON 10: Birthing Better skills are not linear but rather covering all aspects of every birth. In this lesson, you’ll learn three skills: breathing … adjustable, adaptable and sustainable as well as being able to direct your breathing; communication … both non-verbal and verbal communication; touch … discovering the 5 layers of our body and how to create the right touch, in the right way and right place. 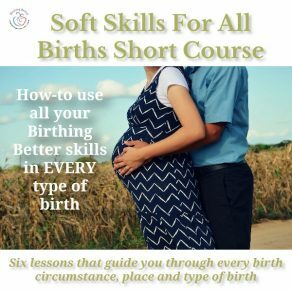 Another hidden jewel of the Birthing Better skills is in this lesson … how to use your skills when you absolutely hate everything about your birth and feel great! LESSON 11: Of course, as your skills are growing you need to know how to make the most of them. In this lesson, you’ll dig deeper into the 4 types of tension and how to relax all four. LESSON 12: Learning skills must be usable when your birth starts, progresses and comes to an end. In this lesson, you’ll learn all the how-to-use-your-skills to work through your baby’s birth journey. All the non-linear skills are now coming together as a basket full of choices you’ll be able to make. LESSON 13: What will throw you? PAIN! Someone doing something you don’t like. Not getting what you wanted. So many things to throw you. 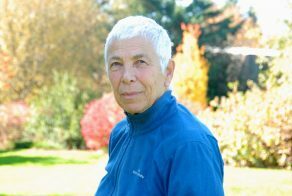 This lesson will drive home WHY you want to use your skills when experiencing physical or emotional discomforts … to stay in CONTROL!